^ Burgreen, Todd (2013). 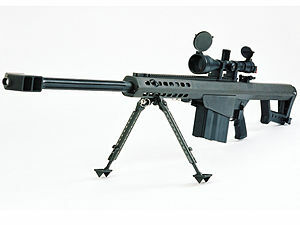 “Barrett .50 BMGs: 30 Years Of Awesome Firepower”. Guns (FMG Publications). http://gunsmagazine.com/barrett-50-bmgs/. ^ Williams, Anthony G. (2008) Defence Management Journal, Issue 41 Archived 2012年10月25日, at the Wayback Machine.